The native form of this personal name is Kun Béla. This article uses the Western name order. Béla Kun (February 20, 1886 – August 29, 1938), born Béla Kohn, was a Hungarian Communist politician, who ruled Hungary, as the leader of the Hungarian Soviet Republic, for a brief period in 1919. After an attempted anti-Communist coup, Kun unleashed a reprisal, the Red Terror. The regime was toppled by the invading Romanian army, who re-installed the Social Democrats. Although Kun was hostile to all forms of religion, his Jewish roots and advocacy of revolutionary communism resulted in hatred for him—and other Hungarian Jews—who were viewed as accomplices in the anti-Christian atrocities that followed his accession to power. While the Red Terror was itself tame by comparison to some of the other atrocities that were committed by Stalin and some other communist revolutionaries (as well as other fascist and authoritarian rulers, it was authorized, (at least in part) by the Marxist notions of the historical inevitability of communism and by their view of malleability of human nature. The "new communist man" would emerge from the revolutionary activity. Kun was born in Szilágycseh, Transylvania, Austria-Hungary (today Cehu Silvaniei, Romania). Kun's father, a village notary, was a lapsed Jew, and his mother a lapsed Protestant. Béla Magyarized his birth surname, Kohn, to Kun in 1906. Despite a secular upbringing, he was educated at a famous Reformed kollegium (grammar school) in the city of Kolozsvár (modern Cluj-Napoca, Romania). Before the First World War, he was a muck-raking journalist with sympathies for the Hungarian Social Democratic Party in Kolozsvár. In addition, Kun served on the Kolozsvár Social Insurance Board, from which he was later to be accused of embezzling. Kun had a fiery reputation and was several times involved in duels. In May 1913, Kun married a music teacher of middle-class background named Iren Gal. During his early learning ages at Kolozsvár, Kun became friends with the poet Endre Ady, who introduced Kun to many members of Budapest's left-wing intelligentsia. Kun fought for Austria-Hungary in the First World War, and was captured and made a prisoner of war in 1916 by the Russians. He was sent to a POW camp in the Urals, where he became a Communist. In 1917, Kun was caught up in what he regarded as the romance of the Russian Revolution, the idea of which fulfilled for him certain spiritual needs previously unsatisfied. Paradoxically, he held Russians to a certain degree in contempt, feeling that Communism was much better suited to "civilized" nations such as Hungary rather than "barbaric" Russia. During his time in Russia, Kun became fluent in Russian (he was also fluent in German, and competent at English). In March 1918, in Moscow, Kun co-founded the Hungarian Group of the Russian Communist Party (the predecessor to the Hungarian Communist Party). He travelled a lot, including to Petrograd and to Moscow. He came to know Vladimir Lenin there, but inside the party he formed the ultra-radical left-wing political opposition to Lenin and the mainstream Bolsheviks. Kun and his friends (such as the Italian Umberto Terracini and the Hungarian Mátyás Rákosi), aggregated around Grigory Zinoviev or Karl Radek; instead of Lenin's pragmatism, they espoused and advertised the politics of "revolutionary offensive by any means." Lenin often called them "kunerists." In the Russian Civil War in 1918, Kun fought for the Bolsheviks. During this time, he first started to make detailed plans for exporting Communism to Hungary. In November 1918, Kun, with at least several hundred other Hungarian Communists, and with a lot of money given to him by the Soviets, returned to Hungary. In Hungary, the resources of a shattered government were further strained by refugees from lands lost to the Allies during the war and that were due to be lost permanently under the projected Treaty of Trianon. Rampant inflation, housing shortages, mass unemployment, food shortages and coal shortages further weakened the economy and stimulated widespread protests. In October 1918, the so-called "Aster Revolution" established a shaky democratic coalition government. 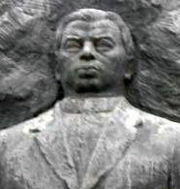 Kun founded the Hungarian Communist Party in Budapest on November 4, 1918. Kun immediately began a highly energetic propaganda campaign against the government: he and his followers engaged in venomous and slanderous attacks against the President, Count Mihály Károlyi and his Social Democratic allies. Yesterday I heard Kun speak… it was an audacious, hateful, enthusiastic oratory. He is a hard-looking man with a head of a bull, thick hair, and moustache, not so much Jewish, but peasant features, would best describe his face… He knows his audience and rules over them… Factory workers long at odds with the Social Democratic Party leaders, young intellectuals, teachers, doctors, lawyers, clerks who came to his room… meet Kun and Marxism. In addition, the Communists held frequent marches and rallies and organized strikes. Desiring to foment a Communist revolution, which, lacking mass support, could only be accomplished through a coup d'état, he communicated by telegraph with Vladimir Lenin. Kun acquired a sizable following, though the Social Democrats, who were Hungary's largest party, continued to dwarf the Communists in numbers. On February 22, 1919, the Communists led a rowdy demonstration outside the Social Democratic newspaper Népszava that ended in a shootout that killed four policemen. After this incident, Kun was arrested and charged with high treason. After his arrest, the Budapest police subjected Kun to insults and gave him a beating in the full view of a tabloid newspaper reporter. The news of the beating and Kun's gestures of forgiveness brought Kun much public sympathy. He remained in prison until March 21, 1919. On March 19, 1919 the French Colonel Fernand Vyx presented the "Vyx Note," ordering Hungarian forces to be pulled back further from where they were stationed. It was assumed that the military lines would be the new frontiers that would be established by the peace conference between Hungary and the Allies. The Vyx Note created a huge upsurge of nationalist outrage, and the Hungarians resolved to fight the Allies rather than accept the national borders. Károlyi resigned from office in favor of the Social Democrats. For their part, the Social Democrats realized that Hungary needed allies for the coming war and in their view, the only ally ready to offer help was the fledgling Soviet Union. As Kun was known to be friendly with Lenin, it was assumed that including him in the government would bring Soviet aid for war against the Allies. The Social Democrats first approached Kun on the subject of a coalition government. Such was the desperation for the Social Democrats to have Kun receive promised Soviet support that it was Kun, a captive, who dictated the terms to his captors, despite the Red Army's full involvement in the Russian Civil War and the unlikelihood that it could be of any direct military assistance. Kun demanded the merger of the Social Democrat and Communist parties, the proclamation of a Soviet Republic and a host of other radical measures. The Social Democrats agreed to all of his demands. On March 21, 1919, a Soviet Republic was announced; the Social Democrats and Communists were merged under the interim name Hungarian Socialist Party, and Béla Kun was released from prison and sworn into office. The Social Democrats continued to hold the majority of seats in government. Of the thirty-three People's Commissars of the Revolutionary Governing Council that ruled the Soviet Republic, fourteen were former Communists, seventeen were former Social Democrats, and two had no party affiliation. With the exception of Kun, every Commissar was a former Social Democrat and every Deputy Commissar was a former Communist. On March 21, 1919, Kun and the small Communist Party made their move, establishing the Hungarian Soviet Republic, the second Communist government in Europe after Russia itself. In the Soviet Republic, Kun served as Commissar for Foreign Affairs, but he was the dominant personality in the government during its brief existence. As Kun reported to Lenin: "My personal influence in the Revolutionary Governing Council is such that the dictatorship of the proletariat is firmly established, since the masses are backing me". The first act of the new government was to nationalize virtually all private property in Hungary. Contrary to advice from Lenin and the Bolsheviks, Béla Kun's government refused to redistribute land to the peasantry, thereby alienating the majority of the population. Instead, Kun declared that all land was to be converted into collective farms and, due to a lack of anyone qualified to run them, he kept on the former estate owners, managers and bailiffs as the new collective farm managers. In an effort to win peasant support, Kun cancelled all taxes in rural areas. Rather than embrace the new government, the peasants took the view that any government that would not collect taxes was by definition a weak government. The Soviet Republic exacerbated high inflation by printing more money and proved incapable of solving the housing shortage. To provide food for the cities, the Soviet Republic resorted to food requisitioning in the countryside through a red militia known as the Lenin Boys. Within the Socialist Party, there was a bitter, yet ultimately pointless, dispute over the permanent name of the party. The former Social Democrats preferred "Hungarian Socialist Worker's Party," while former Communists wanted the "Hungarian Socialist Communist Worker's Party." Within the ranks of the former Communists themselves, a split developed between the rural and urban factions. After a failed anti-communist coup attempt on June 24, Kun organized retribution in the form of the Red Terror via the secret police, revolutionary tribunals and semi-regular detachments like Tibor Szamuely's bodyguards–the Lenin Boys. The estimates for the numbers of victims range from 370 to about 600 persons executed; most sources list 590 proven killings. It has been argued that the major limiting factor on the Red Terror were the former Social Democrats such as József Pogány. Opposition appeared to be centered on the city of Szeged and around Rear Admiral Miklós Horthy, who formed a National Army to fight the Soviet Republic. However, the National Army never saw action and only marched on Budapest after the withdrawal of the Romanians in November. Later, the Horthy regime staged a White Terror in 1919–1920. The Soviet government only lasted for 133 days, falling on August 1, 1919. The Soviet Republic had been formed to resist the Vyx Note, and created the Hungarian Red Army to do so. Given the disparity in power between Hungary and the Allies, Hungarian chances for victory were slim at best. To buy time, Kun tried to negotiate with the Allies, meeting the South African Prime Minister, General Jan Smuts at a summit in Budapest in April. Agreement proved impossible, and Hungary was soon at war later in April with the Kingdom of Romania and Czechoslovakia, both aided by France. The Hungarian Red Army achieved some success against the Czechoslovaks, taking much of Slovakia by June. However, the Hungarians were repeatedly defeated by the Romanians. By the middle of July 1919, Kun decided to stake everything on an offensive against the Romanians. The Allied Commander in the Balkans, the French Marshal Louis Franchet d'Esperey wrote to Marshal Ferdinand Foch on July 21, 1919: "We are convinced that the Hungarian offensive will collapse of its own accord… When the Hungarian offensive is launched, we shall retreat to the line of demarcation, and launch the counteroffensive from that line. Two Romanian brigades will march from Romania to the front in the coming days, according to General Fertianu's promise. You, see, Marshal, we have nothing to fear from the Hungarian army. I can assure you that the Hungarian Soviets will last no more than two or three weeks. And should our offensive not bring the Kun regime down, its untenable internal situation surely will. The Soviets promised to invade Romania and link up with Kun, and were on verge of doing so. However, military reversals suffered by the Red Army in Ukraine prevented the invasion of Romania before it began. The Romanians then invaded Hungary, took Budapest, crushed the Communists, and on August 1, 1919 forced them to hand over power to a Social Democratic party. Béla Kun then went into exile in Vienna, then controlled by the Social Democratic Party of Austria. He was captured and interned in Austria, but was released in exchange for Austrian prisoners in Russia in July 1920. Once in Russia, Kun rejoined the Communist Party of the Soviet Union and was put in charge of the regional Revolutionary Committee in the Crimea. In this position he is alleged to have given instructions to kill thousands of members of Crimean ethnic minorities. Victor Serge, among others, claims in Memoirs of a Revolutionary that Kun also killed ten thousands of White prisoners of war (specifically, detachments of general Pyotr Nikolayevich Wrangel, troops which had been promised amnesty if they would surrender, and were then murdered). It is said that the Crimean massacres created outrage in the Soviet Communist Party and caused Lenin to censure Kun. Adding to the outrage within the Party was the fact that the massacres had been perpetrated against Russians by a Hungarian outsider. However, the sourcing of these claims is problematic ; the fact that Kun became a member of the highest committee of the Comintern and was shortly afterwards sent to Berlin undermines Lenin's alleged response. Kun became a leading figure in the Comintern, as an ally of Grigory Zinoviev. In March 1921, Kun was sent to Germany to advise the Communist Party of Germany (KPD). He encouraged the KPD to follow the "Theory of the Offensive" as supported by Zinoviev and other "Kunerists." On March 27 a decision was taken by German Communist Party leaders to launch a revolutionary offensive in support of the miners of central Germany. Kun was the driving force behind the German Communist Marzaktion Putsch (which ended in complete failure). At the beginning of April, Otto Horsing, the Social Democratic Party of Germany Oberpräsident of Saxony, gave instructions to police and paramilitary forces to occupy the copper mines and chemistry plants around Halle, "to prevent sabotage and attacks on managers." His real motivation was to prevent a Communist takeover and pacify the area, with force if necessary, and purge local unions and local organizations of Communist influence. Under the leadership of the Anarchist Max Hoelz, an armed opposition to the state began to unfold. The KPD called on the working class throughout Germany to arm itself in solidarity with the armed opposition. But they had completely misjudged the mood of the German people, and the uprising remained mainly isolated to central Germany. Even unified, Hoelz's anarchists and the KPD had no real mass support, and government forces deployed without significant opposition (the strikers were unwilling to participate in armed conflict with the police). There were even instances (like Krupp Factories) or the ship factory of Hamburg) where the workers drove out communist agitators from the workplace with clubs. The background and organization of the "March Action" is somewhat obscure. There were those (like Ruth Fischer, leader of KDP) who claimed that Lenin and Soviet Communist leaders wanted to deflect public attention from the inner problems and crisis of the Comintern and Communist Party. Others have said that the March Action was a direct result of the overzealousness of Lenin's radical, Kunerist opposition, who were anxious to prove their worth to the Party. In the end, Lenin blamed himself for appointing Kun and charged him with responsibility for the failure of the German Revolution. Lenin was considerably angered by Kun's actions and his failure to secure a general uprising in Germany. In a closed Congress of the Operative Committee, Victor Serge writes, his actions were condemned as idiotic ("les bêtises de Béla Kun"). However, Kun did not lose his membership in the Operative Committee, and the closing document accepted at the end of the sitting formally confessed the "battle spirit" of the German Communists. "The final analysis of things shows that Levin was politically right in many ways. The thesis of Thallheimer and Béla Kun is politically totally false. Phrases and bare attending, playing the radical leftist.". Through the 1920s, Kun was a prominent Comintern operative, serving mostly in Germany, Austria and Czechoslovakia, but ultimately his notoriety made him useless for undercover work. Kun's final undercover assignment ended in 1928 when he was arrested in Vienna by the local police for traveling on a forged passport. When Kun was in Moscow, he spent much of his time feuding with other Hungarian Communist émigrés, several of whom he denounced to the Soviet secret police, the OGPU (predecessor to the KGB), which arrested and imprisoned them in the late 1920s and early 1930s. During Joseph Stalin's purge of the Communist old guard in the late 1930s, Kun was accused of Trotskyism. He was arrested in June 1937, imprisoned and executed. In fact, Kun was by this time a fanatical Stalinist, who strongly supported Stalin's actions. It is believed that the proximate cause of his elimination was an effort by Stalin to remove any "foreign" figures who had influenced the Comintern, however Stalin's purge of the party was certainly not confined only to those who had opposed him. Over time, accounts have differed over the precise date and manner of Kun's death. It was well-established that Kun had been tortured by the NKVD, but accounts differ from that point forward. Some accounts reported that Kun was secretly executed in 1937. Other accounts maintain that Kun was sent to the Gulag and executed there either in 1938 or 1939. Kun's widow was also sent to the Gulag, as were his daughter and son-in-law. When Kun was politically rehabilitated in 1956, as part of the de-Stalinization process, the Soviet party told its Hungarian counterpart that Kun had died in prison on November 30, 1939. In 1989, the Soviet government announced that Kun had been actually been executed by firing squad in the Gulag more than a year earlier than that, on August 29, 1938 (the 2002 edition of Encyclopædia Britannica still reported the old execution date of November 30, 1939). It is difficult to overstate the impact of Kun's brief and failed regime on Hungarian history. Though the executions meted out in the Red Terror were, by contrast to other such upheavals, relatively few, shock and horror at Kun's excesses remained deeply imprinted on the Hungarian consciousness for years to come. One bitter repercussion was the association of Hungary's Jews with the suffering inflicted by the Communists; as Kun and many of his colleagues were seen as Jewish, it was easy for anti-Semitic activists in Hungary to fuel fears of "Jewish-Bolshevist" conspiracy. Another was the severe rightward direction of Post-Kun Hungary. The election of admiral Miklós Horthy, the chief of the reactionary National Army, as Hungary's regent was a stark political about-face, and the heat of Horthy's anti-communist feelings was legendary. It was partly to keep the "Asiatic barbarians" of Soviet Communism at bay that Horthy gradually helped steer his country into an alliance with Communism's greatest foe, Adolf Hitler. It was a fatal partnership; Hitler would eventually crush Horthy's regime, invade Hungary, and install a puppet government, which helped the Nazis deport more than 400,000 Hungarian Jews to the gas chambers at Auschwitz concentration camp. Ironically, Hitler's stranglehold on Hungary was finally loosened by the army of the dreaded Soviet Union. After the war, Horthy remained in exile, while the Soviets inaugurated a 50-year Communist regime under the leadership of Mátyás Rákosi, one of Kun's few surviving colleagues from the 1919 coup. ↑ Rudolf Tokes. "Béla Kun: The Man and the Revolutionary." 170–207, from Hungary in Revolution, edited by Ivan Volgyes. (Lincoln: University of Nebraska Press, 1971), 173. ↑ Rudolf Tokes. Béla Kun and the Hungarian Soviet Republic. (New York: F.A. Praeger, 1967), 111–112. ↑ Gyorgy Borsanyi. 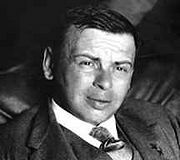 The life of a Communist revolutionary, Béla Kun. (Boulder, CO: Social Science Monographs; 1993), 146–147. ↑ Andrew Janos. The Politics of Backwardness in Hungary. (Princeton: Princeton University Press, 1982), 197. ↑ Gyorgy Borsanyi. The life of a Communist revolutionary. 197–198. Béla Kun Internet Archive marxists.org. Wireless Message to Béla Kun, March 23, 1919. marxists.org. Complete Destruction of National Groups as Groups: The Crimean Turks. iccrimea.org. Marxist interpretation of the March Action.marxist.com.